Home loans have become a staple of our modern day lives. Most of the young homeowners of India have taken home loans to buy their dream abodes. This has helped more people t shift out of rented houses and has an address registered in their own name. If you too are tired of paying high rents and want a house of your own, you should consider getting a good home loan from a reputed home loan provider. while taking such a loan, you must, however, keep a few guidelines in mind. Take a look at this article to know more about them. Pay your EMIs on time: You must, under all circumstances, make it a priority to repay your home loan. Clearing your EMIs is a huge priority that you must never take lightly. Keep a set amount of money aside every month and deposit it on time. Alternatively, you could also arrange for your bank to automatically transfer the set sum of money on a particular date of each month to your home loan provider. This will prevent defaults and you will smoothly be able to maintain your home loan. Balance your investments: Buying a home is one of the biggest investments in life. however, it should not be your only investment. make other financial investments. the money you earn from your investments should outweigh your EMI amount. This can be achieved by balancing your investments. If you notice a slump somewhere and find your investments aren’t fetching you the expected returns, liquefy them temporarily and pump in the surplus amount into your health account. This will not only reduce your home loan liability, it will also help you to shorten the duration of the loan. Make prepayments when possible: Let us assume you have taken the home loan for a period of 20 years at a rate of 9%. Can you imagine the amount you will only pay in interest over these twenty years? It is a staggering figure that is enough to leave you in dismay! So try to prepay the loan whenever it is possible. If you get a large business payment or inherit some money from your grandparents, feed it into your home loan account. You can either close the account in one go or you can reduce the duration by paying off a large chunk of the due amount. Opt for larger EMIs: Smaller EMIs are easier to afford, but they extend the loan period. 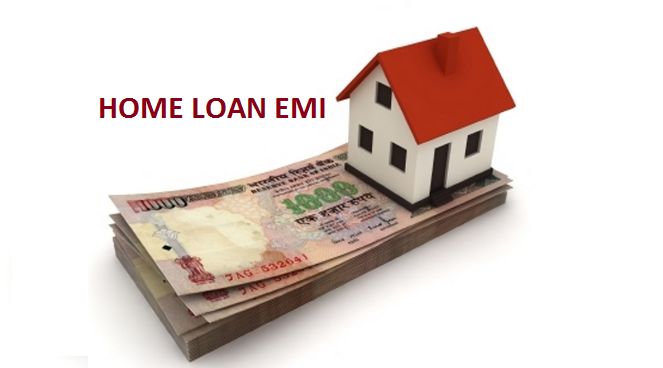 keeping your financial capacities in mind, opt for the highest possible EMI for your home loan. This will shrink your loan tenure and you will end up making a large financial profit in the long run. However, do bear in mind that you will have to pay the EMIs each month. So do not make them impractically large to an amount that is absolutely not feasible for you to afford. Maintain a healthy credit score: Before you apply for a home loan, check your credit score. If you have a high credit score, you can get a home loan at some very attractive rates. To maintain a good credit score at all times. If you have certain unpaid credit card bills lying around or you missed your car loan EMI last month, pay them off at the earliest. You will immediately notice a change in your credit score and that will help you with your home loan. As you can see, these are some very easy methods to follow. You can adopt these methods and manage your home loan in a more efficient manner. A home loan is a blessing. Very few people have the capability to buy a house from the money they save. Thankfully, home loans are available to everyone and if you desire to live in your own home, such a loan can help you immensely. The present-day home loans are designed keeping the requirements of the consumers in mind. as a result, you find loans that are reasonable in price and in features. Locate your ideal home loan and get set to step into your dream home in no time. When is the best time to opt for a Credit Card? Yanira on How to protect your credit card against online fraud? HOW TO TRANSFER YOUR HOME LOAN? – rupeemaster on How to transfer your Home Loan?